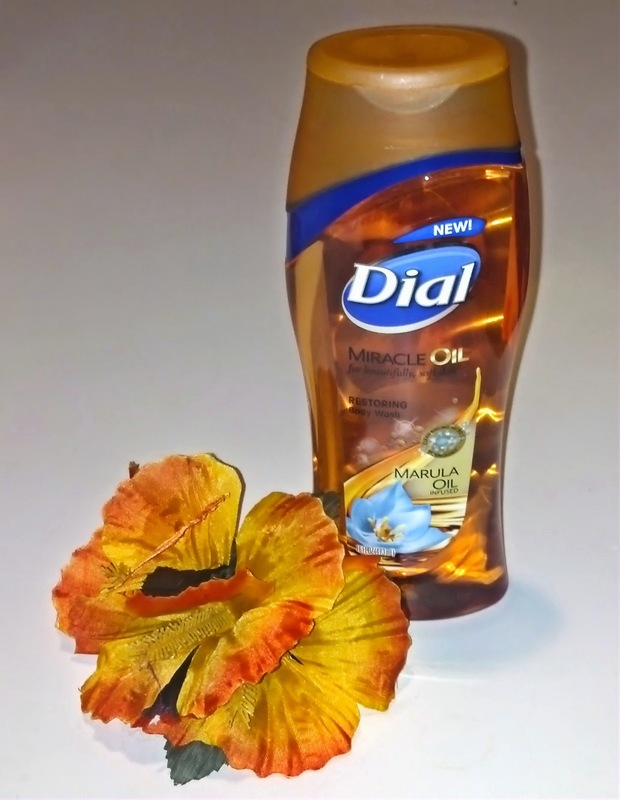 As a member of Purex Insiders, I was chosen to try out the latest skin care product from Dial: Miracle Oil Restoring Body Wash! 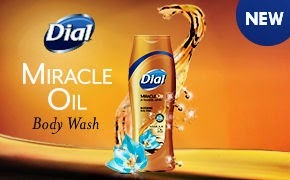 The Miracle Oil is caring Marula oil, which is combined with Micro Oil Technology to give you a fresh body wash that leaves you with soft skin, but still rinses clean, without residue. Don't worry...you still get all the lovely suds that make Dial Body Wash so luxurious. And it really does moisturize well. Even without lotion, my skin felt much softer after I got out of the shower, and it took a beating with this winter weather, so that's saying something. The scent is just awesome. It's a slightly musky, more upscale, with just a hint of a fruity note. It's perfect with a wide range of other scents. It melded particularly well with my honeysuckle perfume. Want some for yourself? Of course you do. And you have a chance...I'm giving away three free coupons to try it and enjoy healthier and softer skin on your own. No need to take my word for it! Enter now! a Rafflecopter giveaway I received product for testing and review purposes. My opinions and inclination for honeysuckle are my own. Prizes will be sent via USPS. Blogger is not responsible for lost or stolen mail.